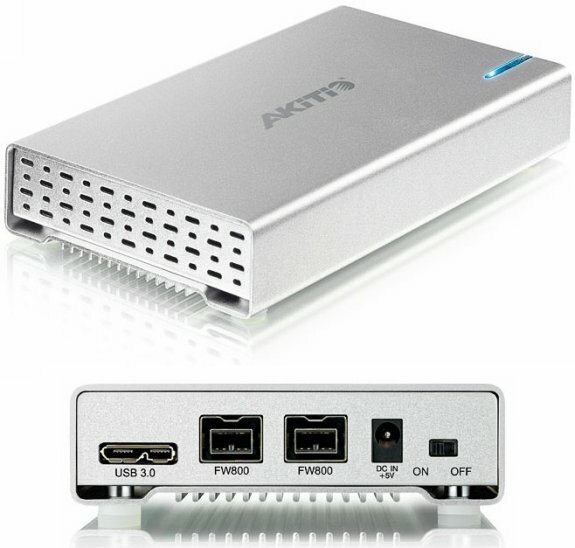 Akitio presents the Neutrino U3+, a stylish $79 USB 3.0 HDD enclosure. Akitio, a leading manufacturer of storage solutions, announced today the release of the Neutrino U3+ laptop hard drive enclosure to the company’s ever-expanding product line. With the news of Apple®’s integration of USB 3.0 to the MacBook Air and MacBook Pro, the Neutrino U3+ is ideal for Mac users, as well as audio and video professionals, looking for a portable, speedy storage solution. Akitio’s Neutrino U3+ is encased in a portable aluminum enclosure and was created for ease of use and the latest 2.5” SATA hard drives. By combining USB 3.0 SuperSpeed technology with FireWire 800, Neutrino U3+ provides two of the fastest transfer speed combinations available.